In case of advertising and presentation, appearance matters a lot. The free PSD mock-up collection of banners has layouts which should always be complete and exact to meet the demands of the client. The Free Bus Stop Branding Mockup PSD, Free Hoarding Mockup PSD, Free Road Banner Streamer Mockup PSD, Free Vehicle Branding Mockup PSD, etc. are some of the common ones that are used by the designers. 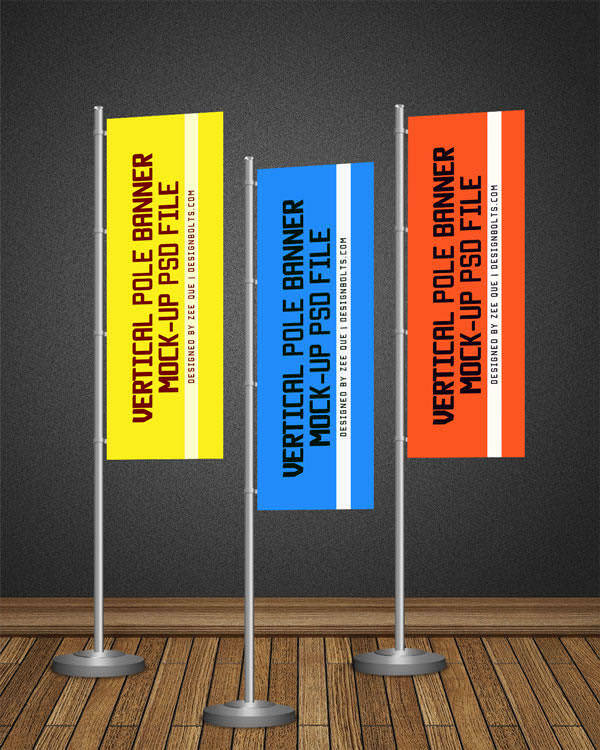 For a car race or any other race, you can use the streamer vertical banner PSD mockup to display different teams or groups participating. 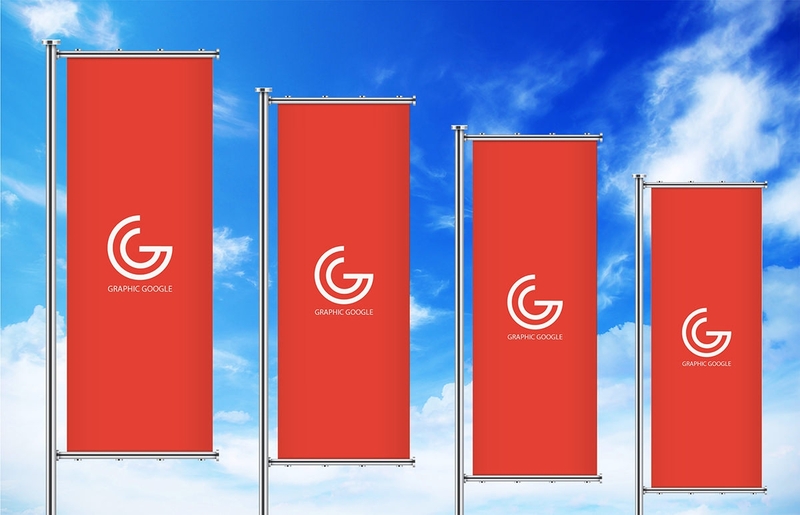 From pole to the red color banner, this photorealistic mockup looks similar to the actual streamer banner. Make good use of this free mockup to place the different set of logo designs each banner- download it quickly! Now, it is easy to show your client the concept of event or ceremony just by using PSD ceremony banner mockup. 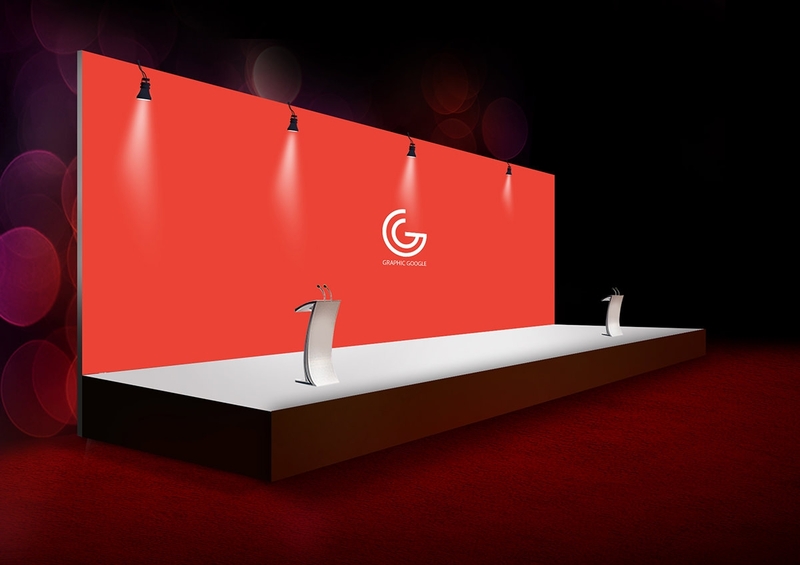 From backdrop banner to the podium, these photorealistic mockups feature every detail of a ceremony stage perfectly. 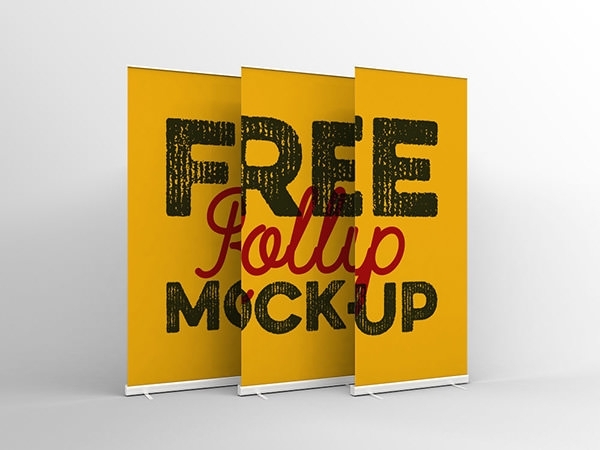 Download the amazing ceremony banner mockup instantly for free and add your design to it! 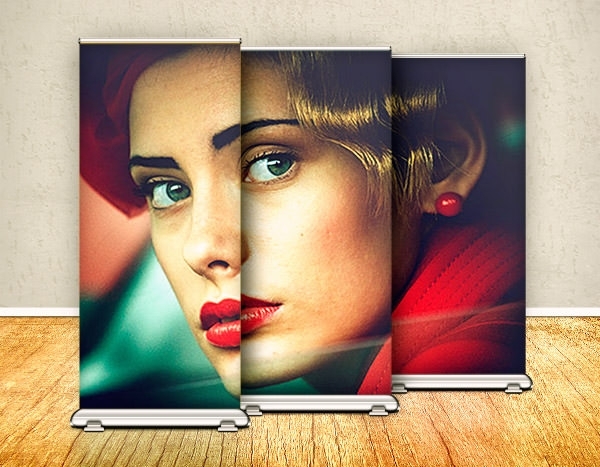 Create designs for art exhibition or fashion show using the photorealistic stand banner mockup that is available for free download. 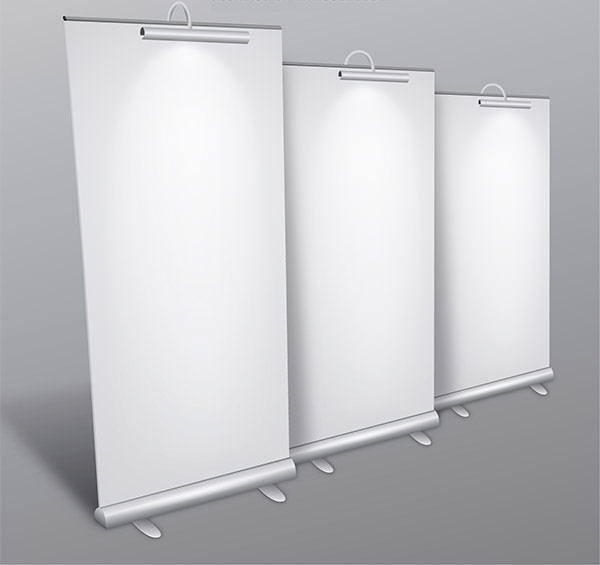 It consists of three stand banners with back support, which makes it look photorealistic. You can download this mockup to add the highlights of the event on the banners that will attract more audience! 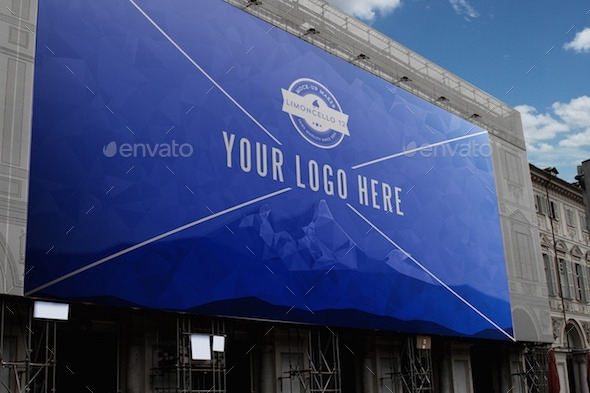 Use the street billboard pole banner mockup to design artwork for sports events as it showcases different color banners such as yellow, blue and orange that can represent the different team. On this photorealistic banner, you can display name and other details of the teams or groups. It is available in PSD format for free download and use. 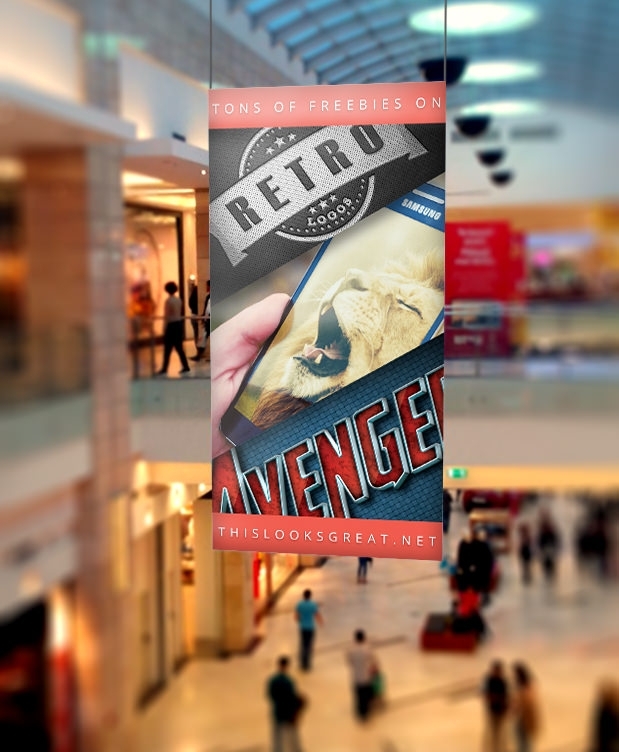 Use mall banner PSD mockup to promote your shop for watches, mobiles or any other product in an appealing way. This photorealistic mockup comes with the display of attractive banner, on which you can add the details or images of your products along with the name of your shop or brand- download it for free now! 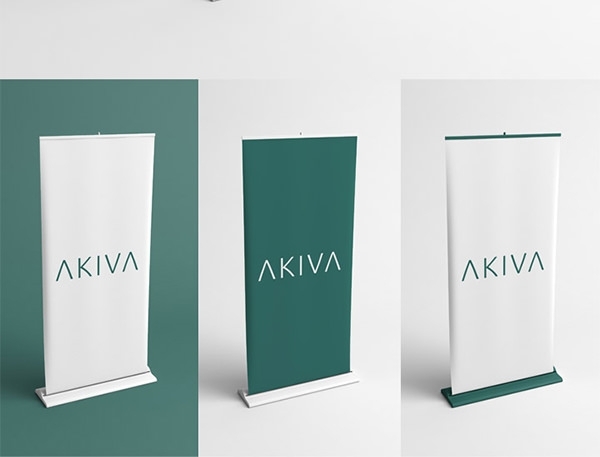 New trade-show display banner mockup will be really helpful while creating promotional projects for the gymnasium, dancing institute and so on. You can download this PSD banner to display the name and other details of your business that too for free of charges. Its photorealistic effect will definitely bring your business into spotlight. 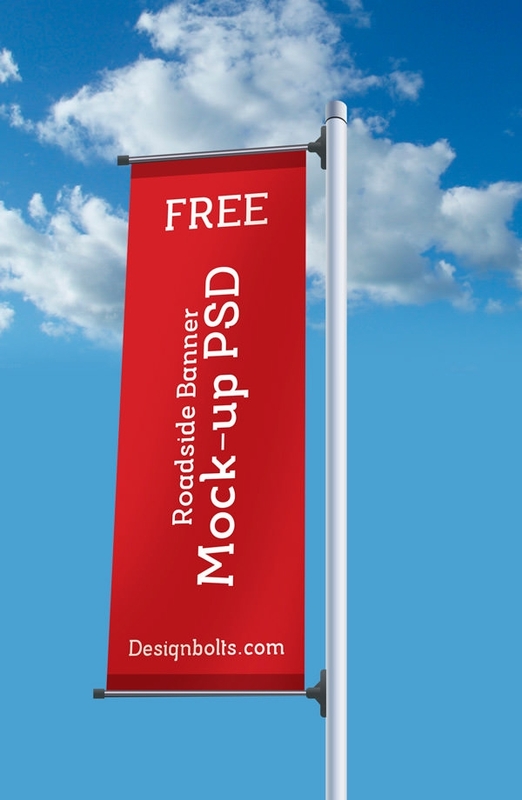 Announce special offers and discount on automobile services using the photorealistic road streamer banner mockup. It comes with the red color banner that is attached to a pole and displaying cloudy sky. With this PSD mockup, you can effectively promote your automobile brands and products in an attention-grabbing way- it’s free to download! 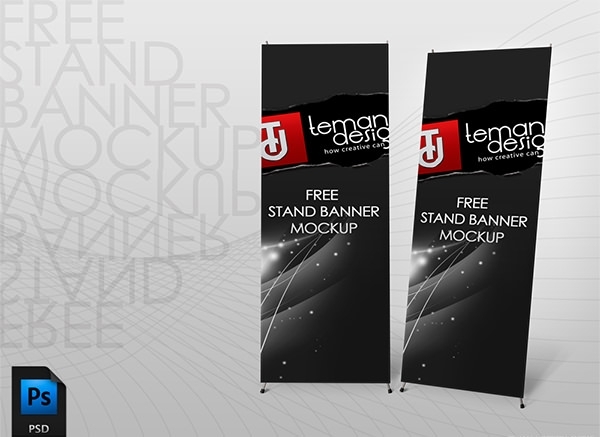 Use the PSD mockup with three roll up banners to present designs related to concerts, events etc. 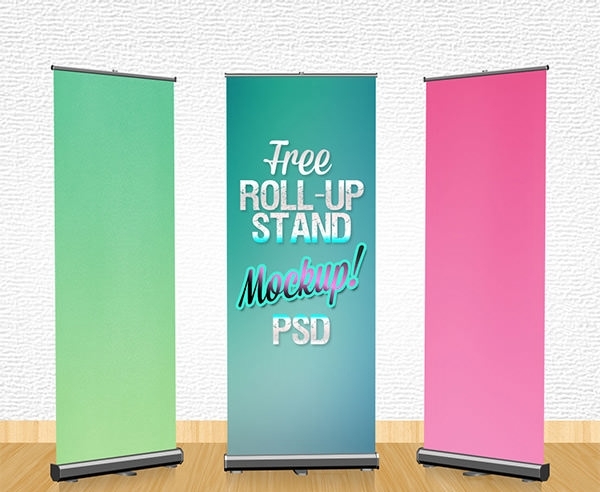 This free mockup consists of roll up of different colors such as pink, blue and green that will surely come in notice of every glance. 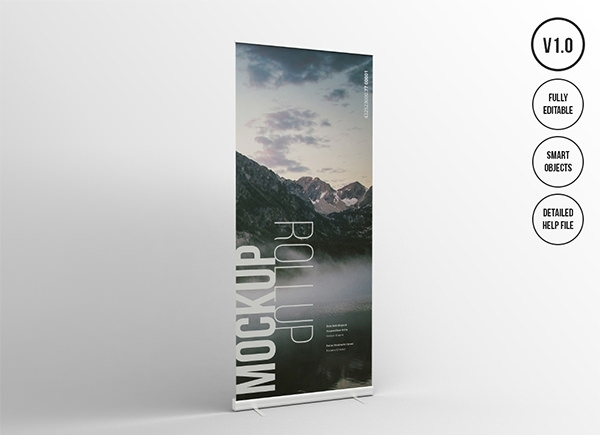 Get hold of this photorealistic mockup with standing rollups toady, as they are free to download! 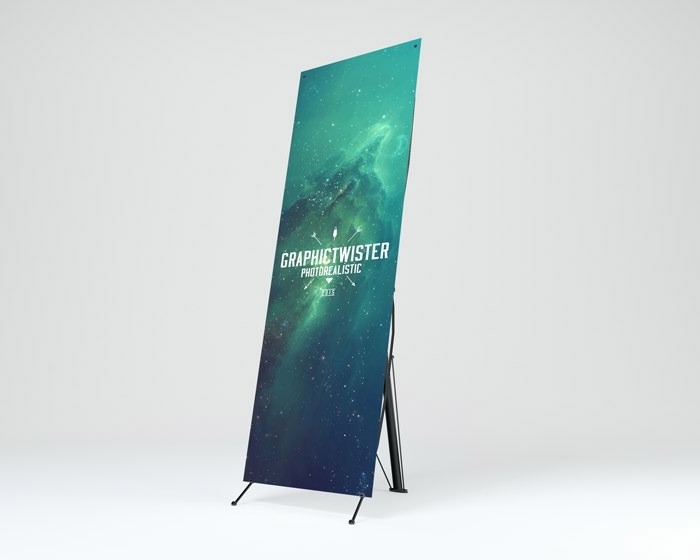 Create impressive designs for promoting your dance institute using this photorealistic standing banner mockup. 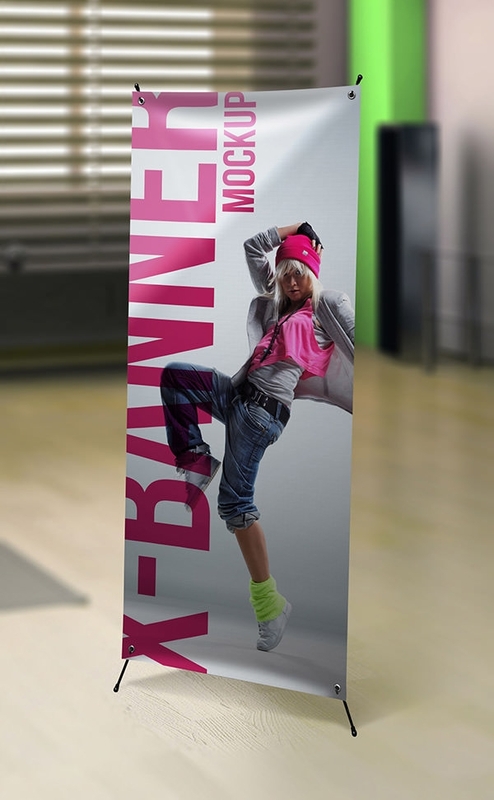 Every detail of the standing banners is displayed in this mockup along with the image of a girl in dancing pose that makes it look more interesting. Download this PSD mockup for your next project that too for free of charges! 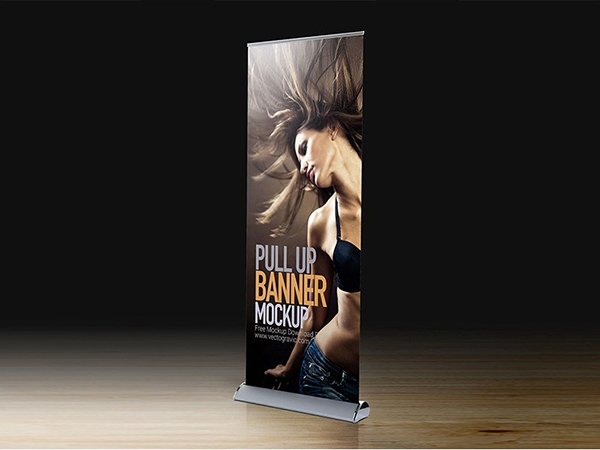 Make use of the photorealistic stand up banners advertise your cosmetic brand or beauty salon as it features the face of a gorgeous lady that suits the concept perfectly. 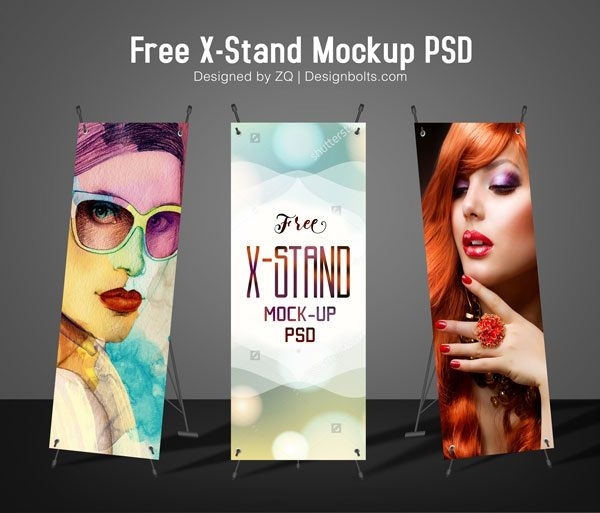 This lovely PSD mockup consists of three stand up banners showcasing three part of a design. 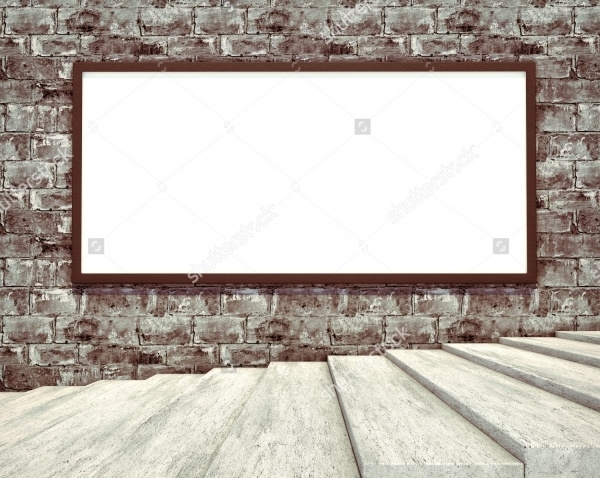 You can download this elegant mockup to use the brilliant idea behind it in your work. 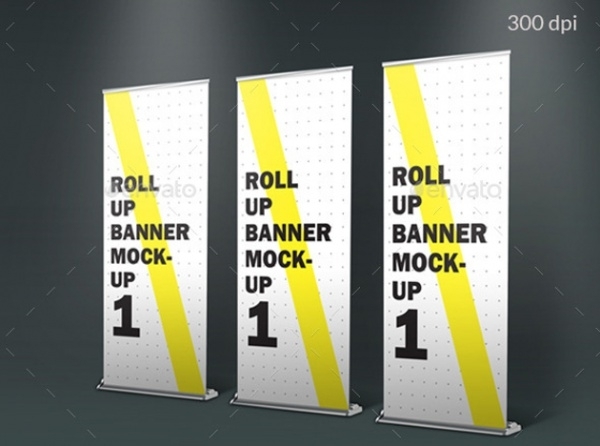 The roll-up banner mockup in the darker shade of yellow is all you need to creatively present your projects to the client. It features three photorealistic banners that are aligned slightly slant to each other which forms a perfect pattern. Keep this PSD mockup handy for future design project- download them instantly for free! 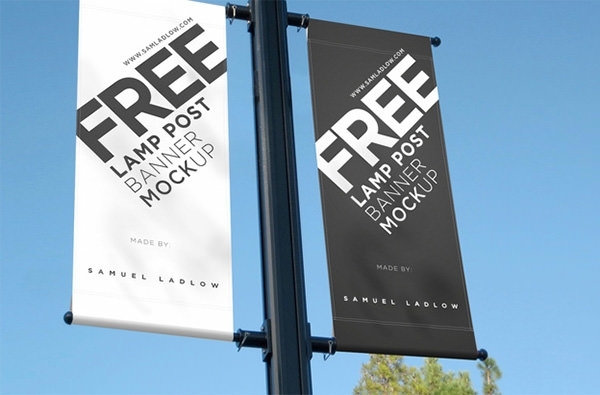 Use the lamp post signs banner PSD mockup to promote your lighting brand or business in a unique way. 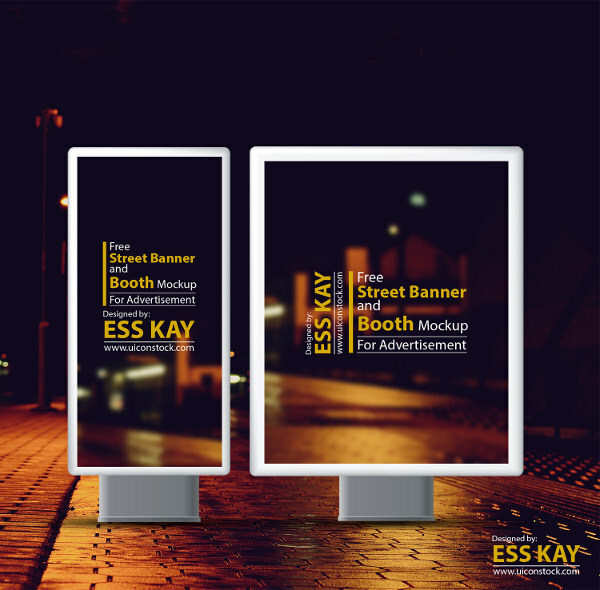 It features white and black lamp post banner that will surely bring your advertisement to the notice of the visitors. Download this photorealistic lamp post mockup quickly, that too for free of charge! 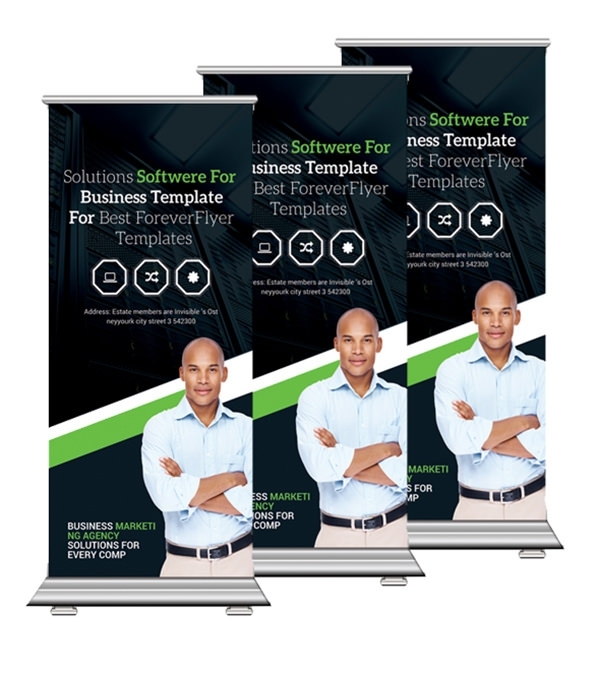 These photorealistic roll-up banners are fully editable with photoshop smart layers and which can also be customized to manifest a sense of serenity in its very presence. All you have to do is insert the necessary template to create a dense and appropriate presentation for your client.